“I pray for friends I’ve lost, family, like my uncle who passed away,” Bruno told me. We were chatting in the nave of the Church of the Santa Cruz of the Souls of the Hanged, a small Catholic church in central São Paulo. Built near the old city gallows, regulars go there to pray to the dead. “When I’m here, I feel well,” he said. “I even feel that the other side is well.” Bruno told me there was something special about the place, that it left him with a “sensation”. “The fact that you’re remembering, recalling someone that did right by you, it leaves you with even more saudade,” he told me. Saudade is a key emotion word for Portuguese speakers. Though akin to nostalgia or longing, the term has no direct equivalent in English. As the Brazilian musician Gilberto Gil sings in “Toda Saudade,” it is the presence of absence, “of someone or some place—of something, anyway.” One can have saudades (the singular and plural forms are interchangeable) for people or places, as well as sounds, smells, and foods. One can even have saudades for saudade itself. That is because “it is good to have saudades” (é bom ter saudades), as the common saying goes. There is a certain pleasure in the feeling. Though painful, the sting of saudades is a reminder of a good that came before. Writing in 1912, the Portuguese poet Teixeira de Pascoaes defined saudade as “desire for the beloved thing, made painful by its absence.” It is an acute feeling, often described as occurring in the heart. The language of saudade is evocative. Portuguese speakers complain of “dying of saudades” (morrendo de saudades), or wanting to “kill saudades” (matar saudades) by fulfilling desire. Though hyperbolic, the word’s morbid poetics throw light on how affective ties make for a meaningful human life. Popular tradition relates saudade to the feeling of distance and loss suffered by the families of men off at sea during the age of Portuguese discoveries. While this folk history captures the term’s poetic ambivalence, its etymology is unclear. The archaic form soidade appears in 13th-century troubadour verses recounting the laments of distant lovers. Most scholars suggest that this form derives from the Latin solitate (solitude), and was possibly later influenced by the Portuguese word saudar (‘to greet’) before arriving at the present form. But some scholars have offered alternative etymologies, including one that traces saudade to the Arabic sawdā, a word that can denote a dark or melancholy mood. It is a high-stakes debate: saudade is integral to Portuguese self-understanding, and the question of the word’s origins reflects deeper concerns about Portuguese ethnicity and identity. Saudosismo, an early 20th-century literary movement, was largely responsible for establishing saudade as a marker of Portuguese identity. Founded two years after the 1910 republican revolution that ended a centuries-long monarchy, Saudosismo promised cultural renewal during a time of uncertainty. In “The Making of Saudade” (2000), the Portuguese anthropologist João Leal writes that Saudosistas sought to restore the “lost splendor” of Portuguese cultural life, “replacing foreign influences—held to be responsible for the decline of the country since the Age of Discoveries—with a cult of ‘Portuguese things,’ reflecting the true ‘Portuguese soul. '” Hailing saudade as the authentic expression of the “Lusitanian spirit,” the movement put the emotion at the cult’s center. Portuguese speakers commonly boast that saudade is untranslatable. Though an old claim—King Duarte of Portugal (who reigned 1433-38) asserted saudade’s singularity as early as the 15th century—the Saudosistas are responsible for its ubiquity today. In the movement’s manifesto, Pascoaes repeated the claim that the term could not be translated, and asserted that “the only people who feel saudade are the Portuguese.” Linking the feeling to Portuguese ethnogenesis, he argued that saudade’s sublime union of desire and pain reflected the “perfect synthesis” of Aryan and Semitic blood that obtained in the Portuguese people. 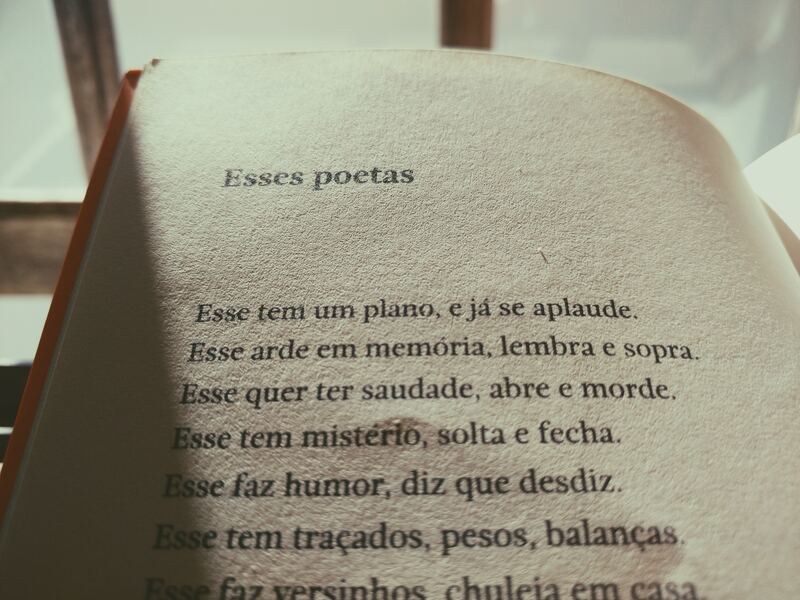 Though contemporaries pointed to close equivalents in other languages, Pascoaes’s nationalist embrace of saudade appealed to a cultural elite trying to find its way. Are there culturally specific emotions? At issue is whether the emotions signified by words such as saudade are unique to particular cultures, or instead whether humans everywhere can experience the same range of emotions but recognize and emphasize those emotions differently based on the cultural availability of certain emotion concepts. The psychologists Yu Niiya, Phoebe Ellsworth and Susumu Yamaguchi suggest that “emotions named by a language may act as magnets for emotional experience, attracting undefined feelings” toward well-known concepts. This would also mean that emotion words such as nostalgia or saudade take on different affective shadings in different places and historical periods. At issue is whether the emotions signified by words such as saudade are unique to particular cultures, or instead whether humans everywhere can experience the same range of emotions but recognize and emphasize those emotions differently based on the cultural availability of certain emotion concepts. Brazilian intellectuals have often distinguished their saudade from that of the Portuguese. In 1940, the Brazilian writer Osvaldo Orico described Brazilian saudade as “more happy than sad, more imagination than pain … a saudade that does not cry, but sings.” Orico’s notion of a happy saudade reflected the joyous, optimistic notion of brasilidade (“Brazilian-ness”) that emerged during the early years of the first Getúlio Vargas regime (1930-45). But saudade can also be critical or resentful. In his 2017 study of saudade in Brazilian cinema, the cultural studies scholar Jack Draper at the University of Missouri writes that midcentury directors such as Humberto Mauro deployed saudade for rural folk life as a way of commenting on developmentalism and rural-urban migration. And in today’s divisive political climate, some conservatives openly express saudades for Brazil’s military dictatorship, which they imagine as the antidote to rife corruption, violence, and economic distress. But can one really feel saudades for a dictatorship, empire, or any other polity? Or is it that the word is so cherished, potent, and prevalent that it is easily used for political ends? Perhaps both. Because if devotees such as Bruno at the Church of the Souls tell us anything, it is that saudade is always a pleasure and an indulgence. It is a feeling that manages to give, despite being a confrontation with what has been taken away. It is revelatory: when caught in saudade’s grip, we become aware of that which is most important to us, that which makes us what we are. Michael is a visiting assistant professor at Amherst College in Massachusetts.